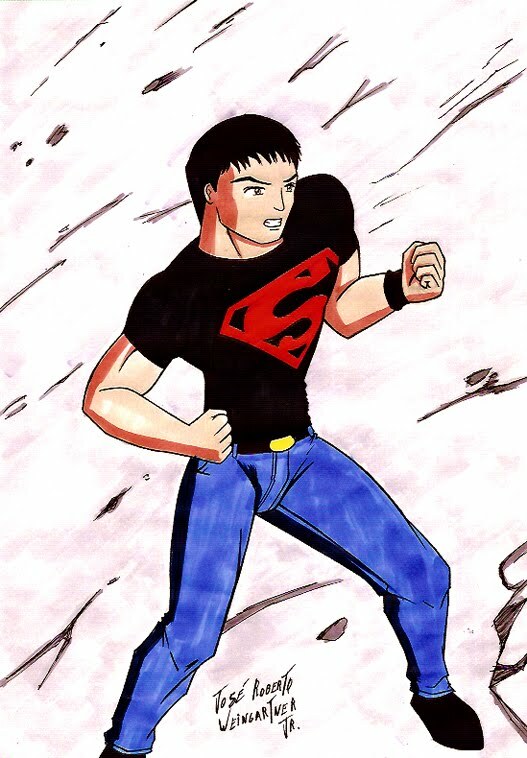 J.R. Weingartner Jr. - ART: Superboy Skecht! Eu quase joguei esse desenho no lixo. Pintei o primeiro tom de pele.. e achei ruim. Arranquei o desenho do skecht book. Quando a tinta secou, tava como eu queria!!! XD As canetas são traiçoeiras. Tenho gostado muito de desenhar membros do universo do superman. E olha que nunca fui muito do personagem. Mas tem saído alguns bem legais. Depois eu posto outros. I almost threw this design in the garbage. I painted the first skin tone .. and I felt bad. I ripped the design skecht book. When the ink had dried, I was like I wanted! XD Pens are tricky. I liked to draw members of the Superman universe. And I have never been much of the character. But it has left some pretty cool. Then I put other.